Stylish short sleeves frock from the house of Zero. The stripes print allover and bow applique makes it look attractive. Round neck with back button closure ensures easy dressing. 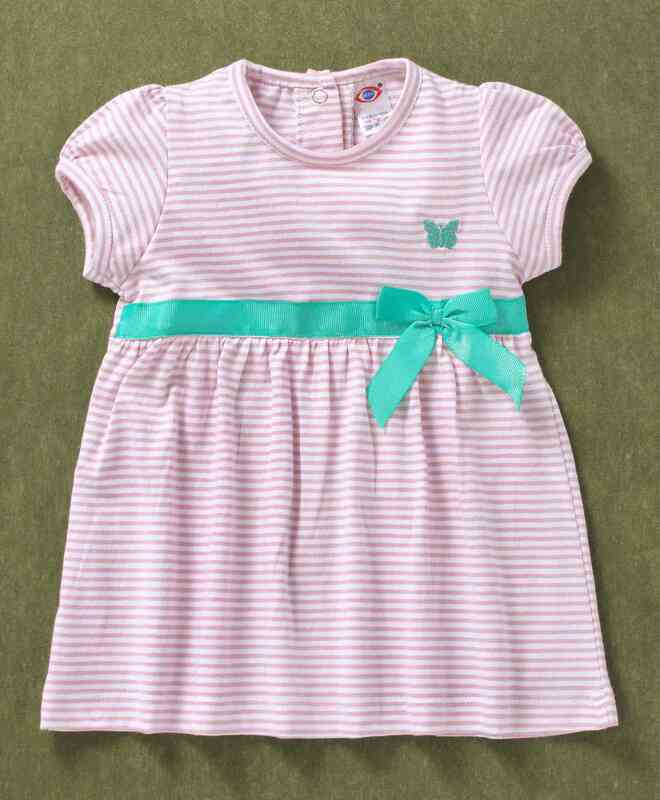 Made from soft fabric, this regular-fit frock will keep your girl comfortable all day long. Styling tip - Style this frock with hairband and belly shoes for a cute look.